It’s exciting to see all the pieces of SQL Server 2012 coming together. Many new and compelling features have been in development for several years. Today we finally get to see which features have made the cut and will ship in the released product in a few months. Release Candidate 0 (RC0) can be downloaded here. 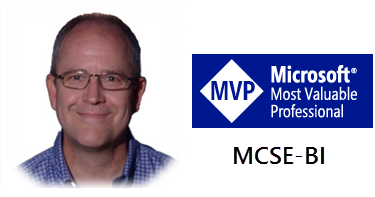 I’ve been watching this product for more than two years since the product teams gave MVPs and selected partners our first look at the SQL Server "Denali" software development review back in October, 2009. Since then, we’ve been meeting with the developers, leaders and program managers in review discussions and insider first-look sessions every few months. This release will be bigger and more capable than any before. Of course, I’m paying attention to the revolutionary business intelligence features; SSRS alerting, BISM tabular models, and the crème de la crème: Power View. Take a look at this post on Robert Bruckner’s blog for a comprehensive demonstration of the Power View features added since CTP3. All of these capabilities will be covered extensively on the next release of our Wrox Press Professional series book on Reporting Services. Posted in Microsoft BI Platform, SolidQ, SQL Server, Tabular Models. Entertainment is a metaphor for business – and our hope for the future. It’s hard to watch a big film any more and not see all the product placement. I took my teenage daughters to see Real Steel this evening and my 15-year-old started counting the product names out loud. She stopped at about 20 brands when the people behind us started getting annoyed. Remember Iron Man 2 last year? The Oracle name placement was way over the top. Larry Ellison made a cameo appearance in Monte Carlo as “The Oracle of Oracle”. Tony Stark’s big party was hosted at the Oracle Garden Pavilion with a huge logo on the outside of the dome. In a scene, someone did a geographic map scan by “searching the Oracle Network” (um, doesn’t Google own that space?) ..and, of course there were all kinds of Sun servers & equipment everywhere. Fast forward to the near future of 2020 portrayed in the film Real Steel where Hugh Jackman plays a burned-out loser, dead beat father and ex-boxer trying to make a living by gambling with fighting robots. He was like a slightly-less pissed-off Wolverine without knuckle blades. HP had their name on every single computer display (apparently all the computer monitors in the future are going to be transparent.) The kid drank gallons of Dr. Pepper & Coke made a big showing. This was my favorite part, though… There wasn’t one single Microsoft logo in the film but the final, big battle takes place at the Bing Arena in New York. All the ad banners inside the arena were for current company brands making the statement that they’ll dominate their markets eight years from now (Del Taco, really?) My 14-year-old pointed out the Xbox 720 ad. Awesome. What’s more believable? A near-present fantasy world where a superhero flies around the world at Mach 6 in a nuclear-powered suit and Oracle owns the world infrastructure or a future where big and little kids play with fighting robots at the Bing Arena and play Xbox games? I thought so too. In your face, Oracle. Microsoft wins round two! I just caught a tweet from Bill Gates with yet another fascinating presentation from Hans Rosling featured on the Gates Notes site. This is an excellent demonstration of how Business Intelligence can be used to convey an important message. Hans Rosling Breaks Down the Impact of Foreign Aid from bgC3 on Vimeo.